Collage and gouache on masonite, 23 1/2 x 29 1/2 inches. Oil and collage on canvas, 37 1/2 x 38 1/2 inches. Oil and found objects on canvas, 45 x 34 inches. Oil and collage on canvas, 34 x 30 3/4 inches. Howard University Gallery of Art, Washington, D.C.
Jazz Singer (Lady of Leisure, Fox), 1974. Oil and collage on canvas, 56 x 48 inches. Self Portrait as Beni ("I Dream Again of Benin"), July 13, 1974. Egg tempera, gouache, and collage on paper, 17 x 13 inches. Memories of a Distant Past, 1975. Egg tempera, gouache, and collage on paper, 21 1/2 x 16 inches. Encaustics and collage on paper, 17 1/2 x 22 inches. Dance of the Masks, 2000. Collage, oil and acrylic on canvas, 71 x 48 inches. Celebrating the art of David Driskell and in honor of his eightieth birthday, DC Moore Gallery’s new exhibition, David Driskell. Creative Spirit: Five Decades, features outstanding examples of his work spanning five decades. In his paintings, drawings, and collages, Driskell unites a strong modernist impulse with personal vision, memory, and aspects of traditional culture. As an artist, scholar, and curator, he has made many contributions to the field that have changed the way we think about American art. Organized by co-curators Julie L. McGee and Adrienne L. Childs for the David C. Driskell Center for the Study of the Visual Arts and Culture of African Americans and the African Diaspora at the University of Maryland, College Park, the exhibition continues at DC Moore through February 4. Driskell’s work bridges modernism, with its figurative and narrative elements, and abstraction. His art pays homage to his childhood in North Carolina, and also reflects the landscape of Maine, where he has had a summer home for many years, and his travels and ties to world culture and the African Diaspora. These diverse sources result in a rich, multifaceted body of work. As co-curator Julie McGee writes in the catalogue, “Driskell’s color, touch, and calligraphic line underpin and unify the multiplicity of the media and stylistic approaches on view” in the exhibition. Much of Driskell’s work references African and African American art, often highlighting spiritual and religious dimensions. “I try to pattern my art with certain aspects of African and African-American iconography,” he has said, “in particular with African textiles, with costumes—especially with the Egungun costume, where the Yoruba dancers wear large costumes with strips of quilted cloth.” Masking traditions are important as well, and they recur in his art as both recognizable forms and abstracted images. He also speaks of the lasting impression of his female family members’ “quilt aesthetic.” These multiple strands coalesce in his artwork, particularly in his collages, which are often constructed of multicolored torn strips and mask-like motifs in interlocking patterns. 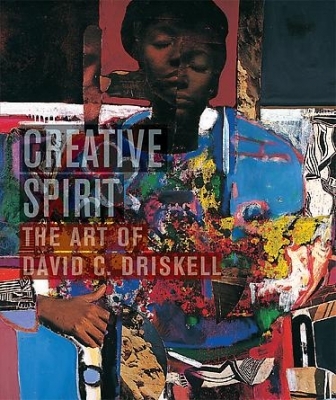 David Driskell studied at the Skowhegan School of Painting and Sculpture in Maine, and received degrees from Howard University and Catholic University of America. He joined the faculty of the Department of Art at the University of Maryland in 1977 and served as its Chair from 1978-83. In 1976, he curated and wrote the catalogue for the groundbreaking exhibition, Two Centuries of Black American Art, 1750-1950, which established the current field of African American art history. His art is in the permanent collections of a number of major American museums, including the National Gallery of Art, Washington, DC; High Museum of Art, Atlanta; and the Yale University Art Gallery, New Haven. In 2000, he received the prestigious National Humanities Medal. 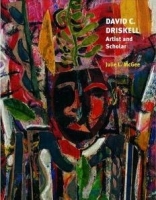 The annual David C. Driskell Prize was established in his honor by the High Museum of Art, Atlanta, in 2005 to recognize major contributions to the field of African American art and art history. A 114-page exhibition catalogue with essays by Julie L. McGee, Adrienne L. Childs, and Floyd Coleman, published by the David C. Driskell Center for the Study of the Visual Arts and Culture of African Americans and the African Diaspora, is available.